Keeping kids’ teeth healthy takes a team approach with parents, children and the dentist. At Park Avenue Dental, Dr. Sherman is dedicated to providing your children with quality dental care in a positive, gentle and caring environment. We know that going to the dentist can sometimes be a scary process for kids, so we are focused on making them feel comfortable and safe at every single appointment. Our advanced training in the area of dentistry allows us to offer the best possible treatment options to children and adults of all ages. Make an appointment today for healthy bright little smiles! 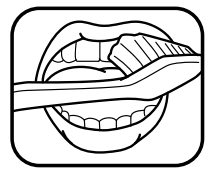 And don’t forget to print out your teeth brushing chart! Limit snacks between meals and always offer healthy foods like vegetables, nuts and fruits. Have sugary foods and drinks with a meal so that the saliva produced while you are eating will help rinse away the sugar and neutralize any acid produced. Chewing sugarless gum after meals actually can help clear out food particles and acid, which can cause tooth decay. Make sure your kids are drinking plenty of low-fat milk and water instead of sugary soft drinks. 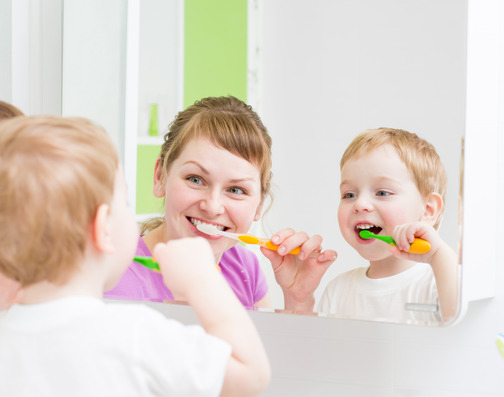 Help your kids learn how and when to brush and floss. By coaching them when they are young, they will develop good habits when they are older. See the dentist regularly for check-ups.